Also, on 11-06-1993 at Shoreline Amphitheatre in Mountain View, California for the 7th Annual Bridge School Benefit Concert, they performed 'Splendid Isolation' again. Lastly -- quite surprisingly -- here's a video from the TV program Suddenly Susan with Warren Zevon and the lead character discussing whether Neil Young is actually on his Sentimental Hygiene album. 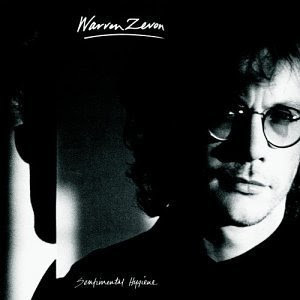 I read Warren Zevon's biography. He ran into Neil and invited him to play a benefit show. Neil then returned the favour by inviting him to the Bridge Benefit It uses passages from his diary. 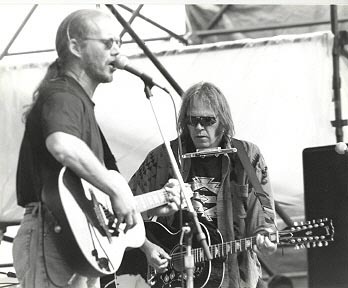 Neil also plays lead guitar on Warren Zevon's song "Gridlock" from his 1989 album, Transverse City. It's a MUST listen!!!!!!!! !